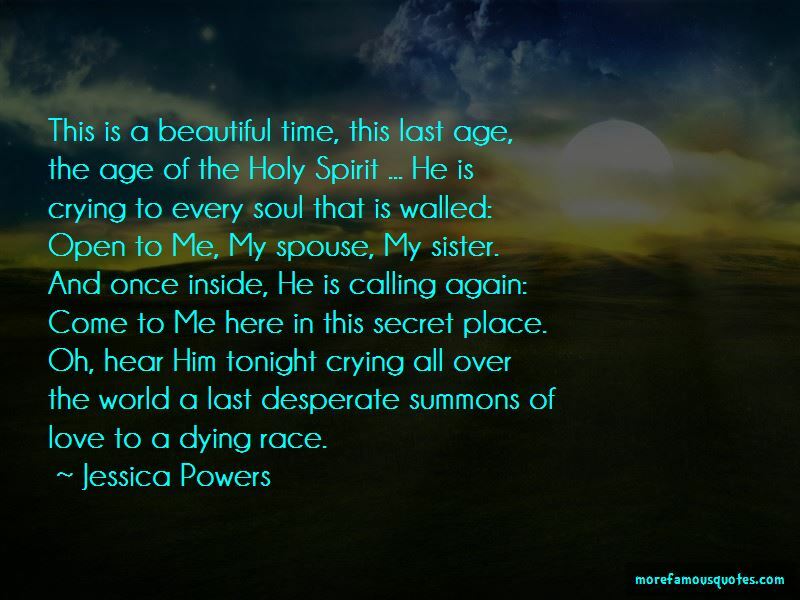 Enjoy the top 3 famous quotes, sayings and quotations by Jessica Powers. Oh, hear Him within you speaking this infinite love,moving like some divine and audible leaven,lifting the sky of the soul with expansions of light, shaping new heights and new depths,and, at your stir of assent,spreading the mountains with flame, filling the hollows with Heaven. 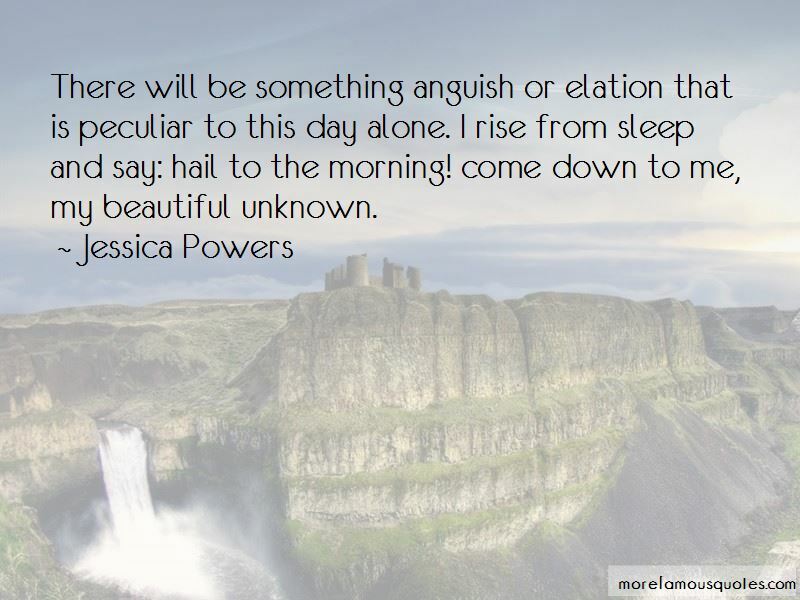 Want to see more pictures of Jessica Powers quotes? 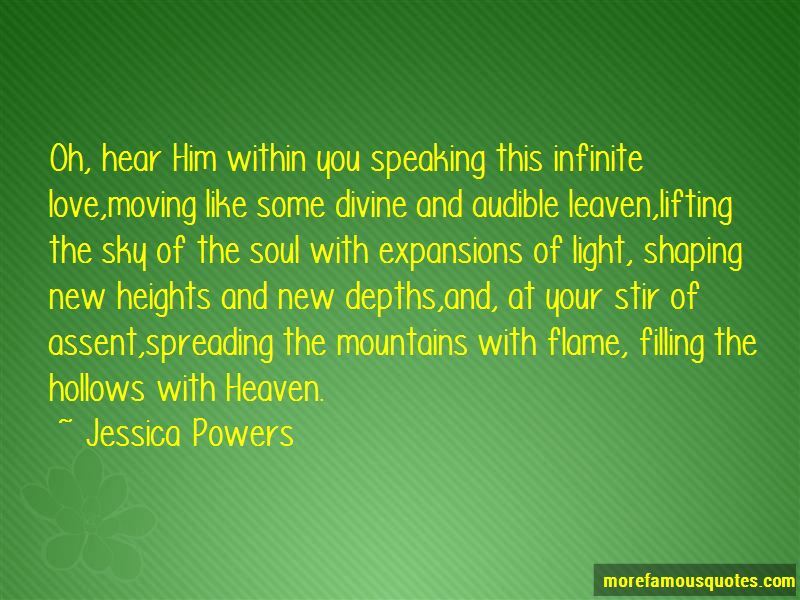 Click on image of Jessica Powers quotes to view full size.